Colin’s father was ‘a bit of a lad’ by all accounts. Born Frederick William Stock in Nottingham, he died Richard George Rowland and had a number of other names in between, among them A.G.White and Dicky White. The moniker sometimes depended upon who his mother was living with at the time. ‘She was obviously quite a girl,’ said Colin of his grandmother who he remembers seeing in a nursing home in later life. 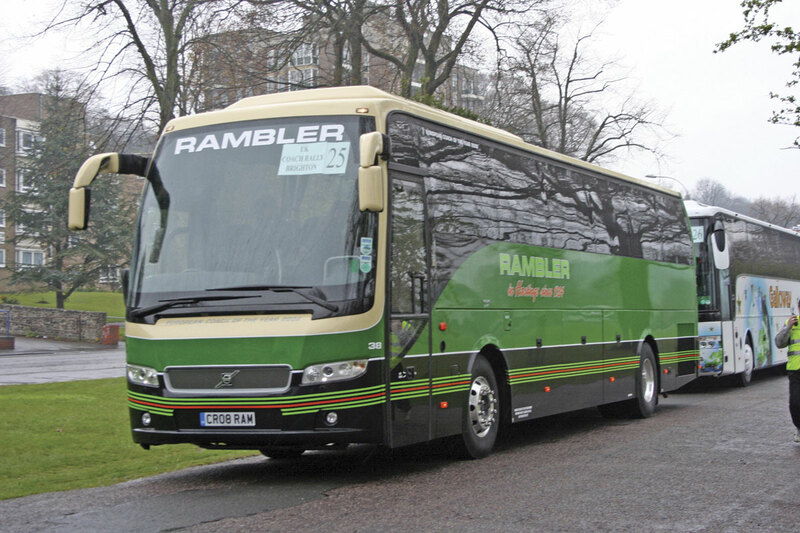 In the period from 1919 to 1923 her partner was a Mr Robinson, proprietor of Red Rambler Coaches of Margate, so Frederick William became a Robinson. Despite being only 16 years old, he drove the charabancs which were apparently parked wherever space could be found for them. After parting with Mr Robinson, Colin’s grandmother, whose surname was Rowlett, which may be where the name Rowland originates, moved to Hastings along with her son. 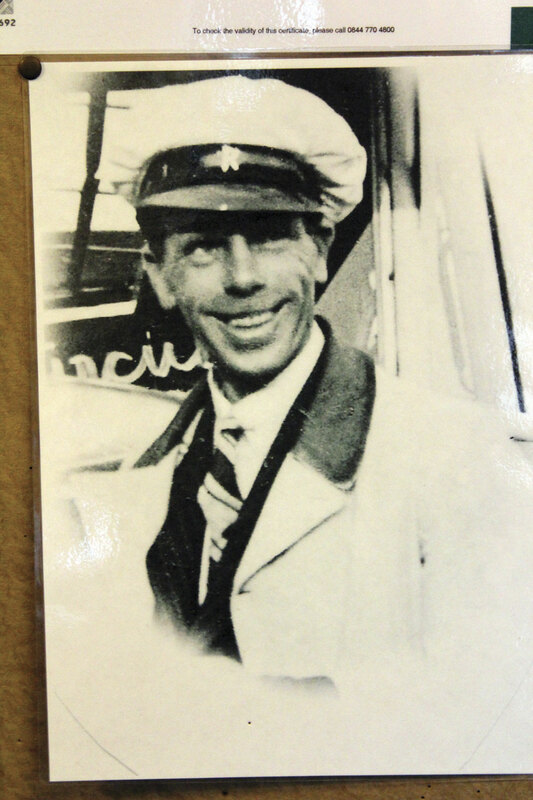 In 1924 he bought a charabanc of his own, possibly of Unic manufacture and started operating in his own right. His first trip was to Bodiam on 18 April 1924. The work he undertook was almost entirely seasonal local tourist trips sold off the boards on Hastings seafront, with a very occasional private hire. After a while winter work was won from the Old Centamodians football team. 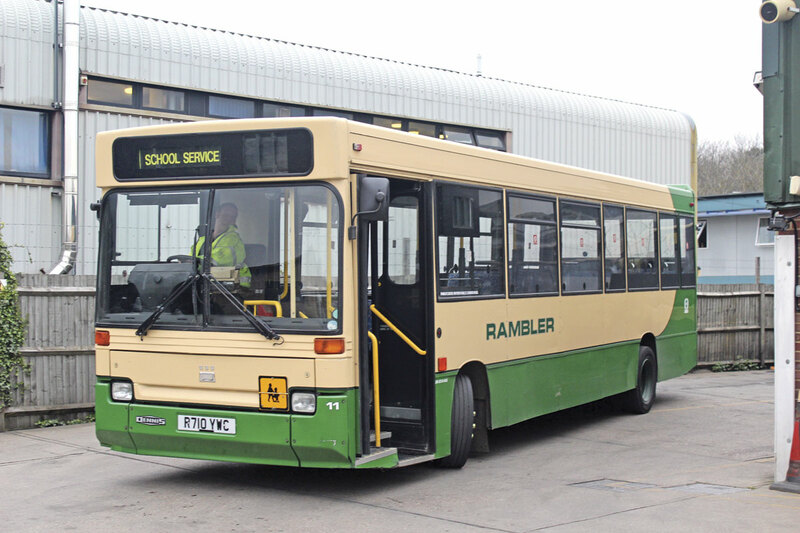 The Rambler title was not always the one carried as it seems other names were also used, possibly those carried at the time vehicles were acquired. Others included, Felix, Green Emerald and the Lancias, though oddly the last was not on one of several Lancias owned. 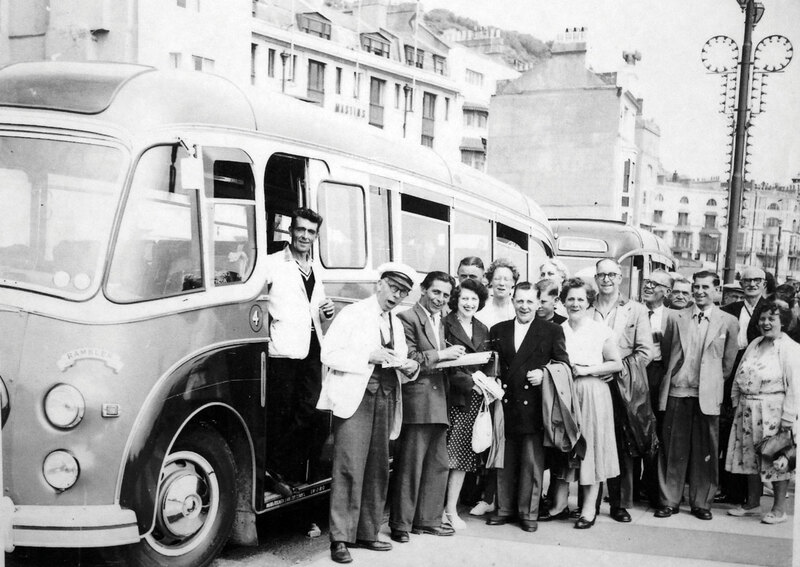 Competition between the various operators during the short summer season was intense, but when Hastings Town Council proposed a severe reduction in the number of stands on the front from which coaches could ply the operators joined forces to hire a solicitor to jointly represent them. More detail about the early years of the company might have been available had it not been for the Second World War, the outbreak of which saw the entire fleet of three coaches requisitioned and unceremoniously removed from the company premises when the family was out. Unfortunately, all of the records, along with his tools, were in one of the coaches, though this was denied by the requisitioning team when attempts were made to retrieve them. Neither was a receipt issued, which was to have ramifications after the war when one would have entitled him to a place on the list for a new coach. After the War, it was 1946 before it proved possible to acquire a serviceable coach and recommence operations. Richard George Rowland and his well-to-do brother-in-law, William Pocklington each put £25 into the business, though William was a sleeping partner. Richard married his second wife, Muriel Maisie, known as Mary, who he’d met when she was 18 and working at the tobacconists near the coach stand. Colin was born in 1949, twenty years after, Peter Robinson, his half-brother and his half sister. Prosperity of a sort returned to the South Coast resort, though it had suffered during the war years. The fleet was gradually upgraded, and things ticked along until Richard George Rowland died on 22 January 1966 at the age of 61 when Colin was still only 16. He had left school four months earlier and had started working for Rediffusion, where his brother already worked. Unlike his father, Colin could not start driving until he was 21 and until he was old enough he ran the business, taking the bookings and cleaning the coaches. His mother, who could not drive any vehicle, worked in a shop next door to the garage and also did the books. Richard had trained the shop owner to drive the coaches on a part time basis and when he was driving it fell to Colin to deliver the groceries. It remained a seasonal job and in the winter months, once he had his car licence, Colin did hearse and funeral work using cars hired from Skinners, driving a van for a wine merchant at Christmas. Colin turned 21 on 10 May 1970 and within the month had passed his PSV driving test, helped by the ability to take a coach out on his own to practice. His first revenue earning trip was not unambitious, taking a party to Longleat and back, a round trip of over 300 miles. Things continued much as they had for a while but, ‘I wanted more coaches and Mum didn’t,’ as Colin recalled. One day in 1974 he was moaning to his friend John Goodwin, who worked for Coombs, which was also based in Western Road. 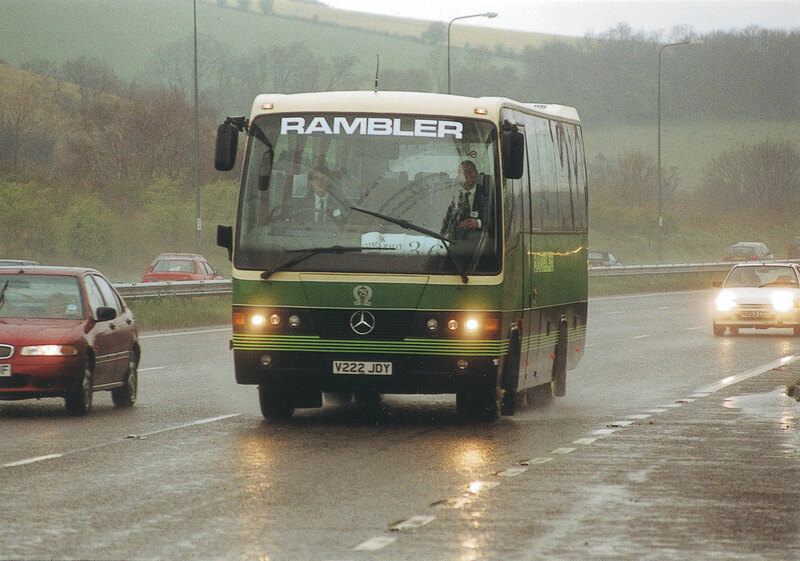 He had known John since he was 17 and when he explained that he wanted to grow John said, ‘Why don’t we buy a minibus.’ The pair bought a two year old 12-seat low roof Transit from Epsom Coaches, running it under the Rambler Minicoaches name with ‘Keep on coaching’ across the back. Muriel did the accounts for both businesses and both grew. After a while the accountant said it made more sense to combine the two operations which they did with Muriel, Colin and John each having an equal one third share thereafter. 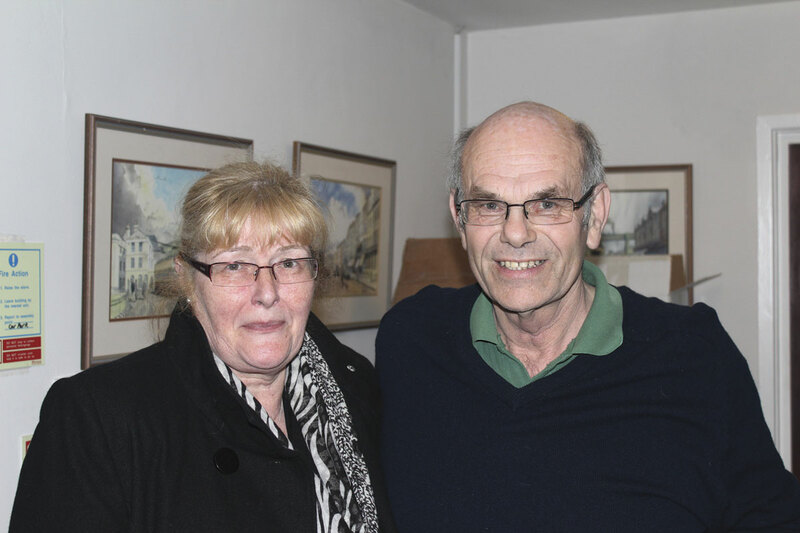 Under Colin, John and Muriel, the business grew gradually with a lot of hard work put in. Muriel died in 1998 having continued to have the telephone at night until near to the end. It has always been a family business and Laura, one of Colin’s two daughters, works in the offices. She also has a PCV driving licence though she didn’t tell him she was taking it until she had passed. Colin separated amicably from his wife more than a decade ago and she still cleans the office. His partner for the past ten years has been Jacqueline McPherson, who had a good knowledge of the business having worked in the office for several years at one time. Her father used to drive for Colin’s father. 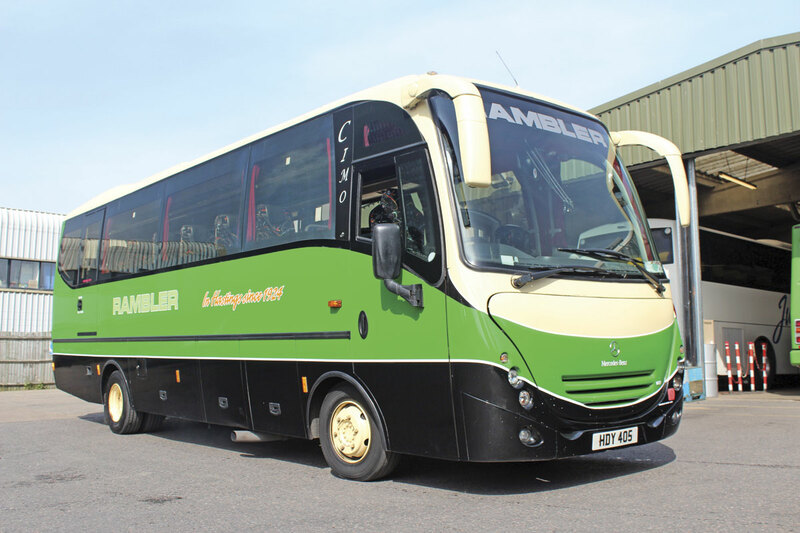 Over the years most types of work have been operated including regular stage carriage bus services, works contracts, National Express contracts and the company’s own tours, none of which are now undertaken. There are 15 daily school contracts, of which 14 are for East Sussex and one is for a private school. One of these is commercial, using a Volvo B7TL Plaxton President, but it only operates to carry school children. Colin is unlikely to go back into stage carriage work saying, ‘I’m not interested. 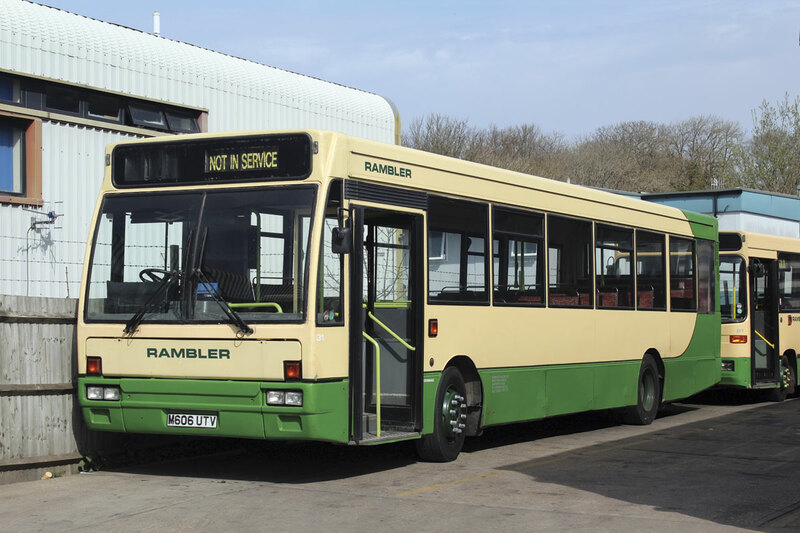 I just want an easy life I should be retiring next month and we owe nobody anything.’ There has also been away from minibuses with 28 seats the smallest capacity now offered. ‘We went off 16s because every taxi operator in town has one or more,’ he said. The travel office was at 18 Western Road, St Leonards and in 1955 a two bay garage was rented over the road. This was within one of the depots of Skinners Coaches who sold their bus and coach operations to Maidstone & District in 1953 but continued running other vehicles until the mid to late 1970s. 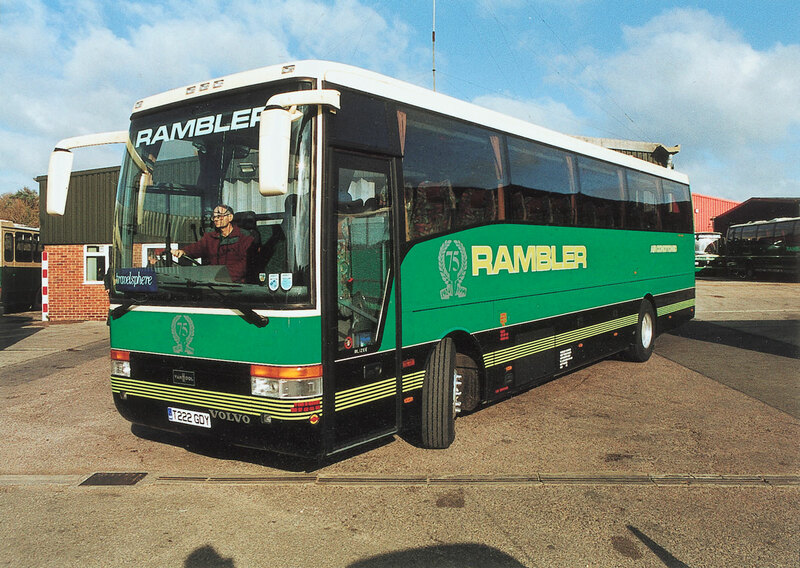 When they stopped all operations, Rambler took on the rest of the yard. The premises on Whitworth Road in St Leonards were christened Westridge Manor and have been home to the company ever since, though space is also rented in the yard next door. The offices in Western Road were retained until around 1990 when a new office facility was built at Whitworth Road and the other site closed.